Operating in the 2.4 GHz range, System 10 avoids TV and DTV interference, offering a cost-effective, high-fidelity wireless solution for houses of worship, musicians/hobbyists, karaoke, corporate applications and more. 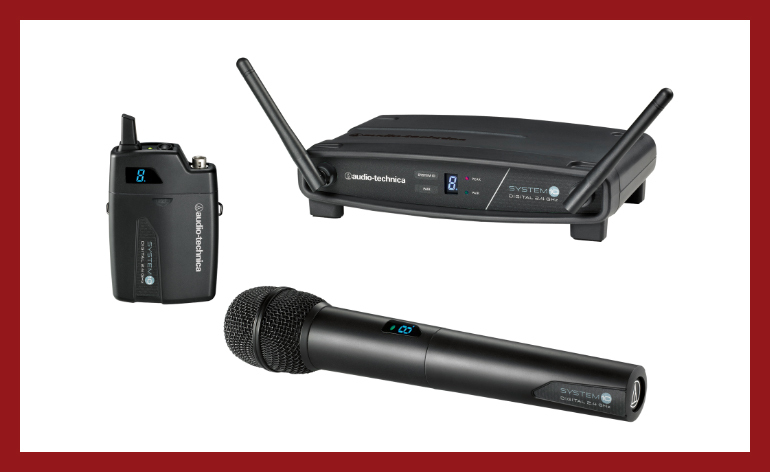 Audio-Technica, a leading innovator in transducer technology for over 50 years, announces $25.00 rebate offers on its System 10 Stack-Mount Digital Wireless System and System 10 Stompbox Digital Wireless System. Systems purchased from an authorized U.S. Audio-Technica dealer between October 1, 2014, and December 31, 2014, will be eligible to receive a $25.00 rebate per system purchased (no limit).